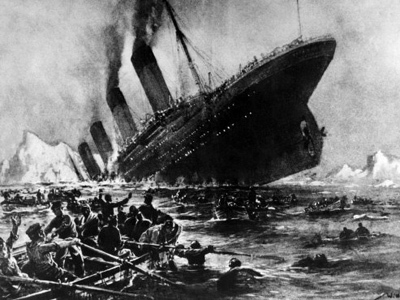 Did the heavens conspire to sink the Titanic? A couple of US astronomers argue just that, saying a “supermoon event ” may have dislodged the iceberg which sank history’s most famous cruise liner. ­It might seem hard to believe, but Olson David and Russell Descher, two Texas State University astronomers, say an out-of-this-world lunar event really might have sparked the chain of events that sank the RMS Titanic on April 15 1912. 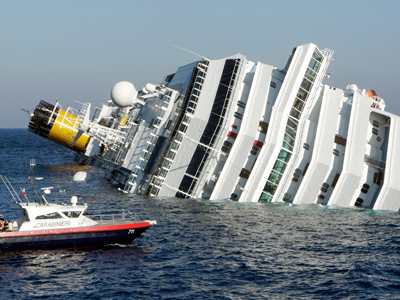 “They went full speed into a region with icebergs, that’s really what sank the ship, but the lunar connection may explain how an unusually large number of icebergs got into the path of the Titanic,”The Telegraph cites Professor Olson as saying. According to their theory, on January 4, 1912, the moon swung more closely to planet Earth than it had done in some 1,400 years, bringing it some 356,375 km from our planet. This approach happened just six minutes before the moon became full. When both these events coincide, the phenomenon is called a supermoon. The pair further says the January 14 supermoon came just a day after Earth had made its closest approach to the sun. The sun and moon aligned in such a way to maximize their gravitational effect on the ocean, sparking a super tide which dislodged far more icebergs from Greenland than usual. The higher tide might also have pushed the icebergs farther south than usual, ensuring they ended up in the shipping lanes just south of Newfoundland by April 14. And while the lunar event may not have directly caused the titanic to sink, it could have provided the conditions for the tragedy which claimed 1,500 lives, the scientists believe. "In astronomical terms, the odds of all these variables lining up in just the way they did was, well, astronomical," Reuters cites Olson as saying. However, not everyone is buying the theory. John Vidale, a seismologist at the University of Washington says the whole theory seems far-fetched. "It seems quite a stretch to argue that a few hours of high tides more than three months prior would have such a dramatic effect," LiveScience cites him as saying. And geophysicist John Bellini also says the research team is peppering its conclusions with Hollywood-esque drama. "It sounds to me like the authors are teasing with chaos theory akin to the classic scenario of a butterfly's wings fluttering in one place causing a deadly hurricane thousands of miles away and many weeks later," Bellini says.